MongoDB is a modern, lightweight, scalable NoSQL Database. MongoDB stores data as JSON-like documents and data structure can be changed over time. These are few points which makes MongoDB great choice for wider usage in data sciences to mobile application. Server with 512 MB RAM server is enough for basic testing purpose. Here is step by step guide on how to install, configure, secure MongoDB from SSH. For this guide, we are using Ubuntu 16.04 LTS as server operating system. SSH to the intended server and become root. In case it is public server for long term use, definitely you should follow some steps like we described before in this article to secure the server. mongodb-org	Is a metapackage that will automatically install the four component packages listed below. 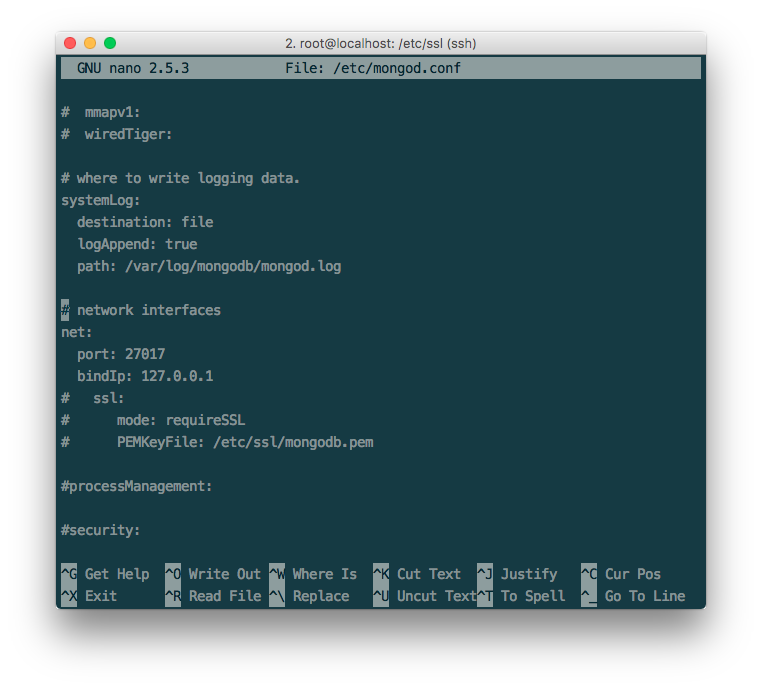 mongodb-org-tools	Contains the following MongoDB tools: mongoimport bsondump, mongodump, mongoexport, mongofiles, mongooplog, mongoperf, mongorestore, mongostat, and mongotop. MongoDB supports TLS/SSL to encrypt all of MongoDB’s network traffic ensuring that MongoDB network traffic is only readable by the intended client. Normally we do not use TLS/SSL to avoid complexity. Cite this article as: Abhishek Ghosh, "How to Install, Configure, Secure MongoDB on Ubuntu 16.04 LTS," in The Customize Windows, November 24, 2017, April 21, 2019, https://thecustomizewindows.com/2017/11/how-to-install-configure-secure-mongodb-on-ubuntu-16-04-lts/.